Finally, an aperitif that doesn't taste like anise. What It Is: A recent addition to the growing world of domestic aperitifs, Orleans Bitter is a rosy spirit made with a base of pressed local late-season apples. Despite its name, it’s made neither in New Orleans nor Orléans, France, but in Vermont, by Eden Ice Cider. The juice is left outside to freeze, then the ice is removed and the remaining liquid is fermented with Champagne yeast. To that base, Eden adds whole red currents and a mix of dandelion, gentian and angelica bitters made by Burlington’s Urban Moonshine. What It’s Like: Orleans Bitter is a refreshing departure from the pungent, anise-heavy liqueurs that are clogging up the shelves right now—thanks to the country’s amaro fever. It’s pleasantly tart, with a bitter finish and savory herbal undertones. How to Drink It: While the bottle’s back label recommends using it in place of Campari in a Negroni or Americano, you’d get a very different drink if you took that advice. Orleans Bitter is much lighter in body than Campari and lacks the popular liqueur’s sweetness. 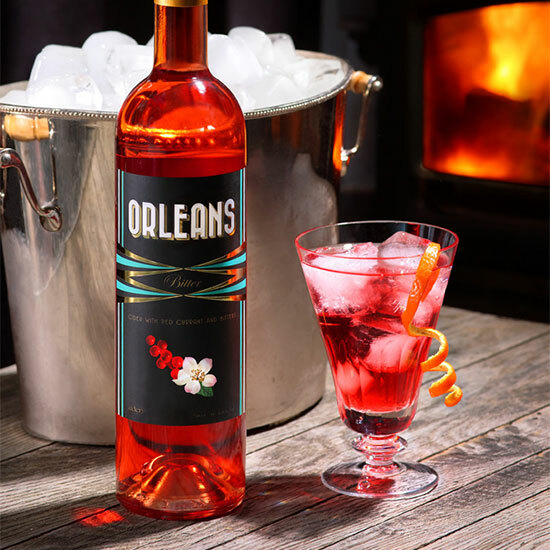 That’s not to say Orleans Bitter is not great in a cocktail—just don’t expect Campari-like results. It’s best on its own, served over ice or topped with a spritz of soda water.